After five nights, I have finally left Florence. I still feel like I do not know the city very well. Even on the last morning, I got lost among the cobbled street and couldn’t decipher my map. I didn’t manage to visit the central market to have a bowl of Florentine soup. I did get a small baguette with smoked ham. The friendly Taiwanese couple shared their spaghetti carbonara as well as a tub of panna cotta with me. Yums. 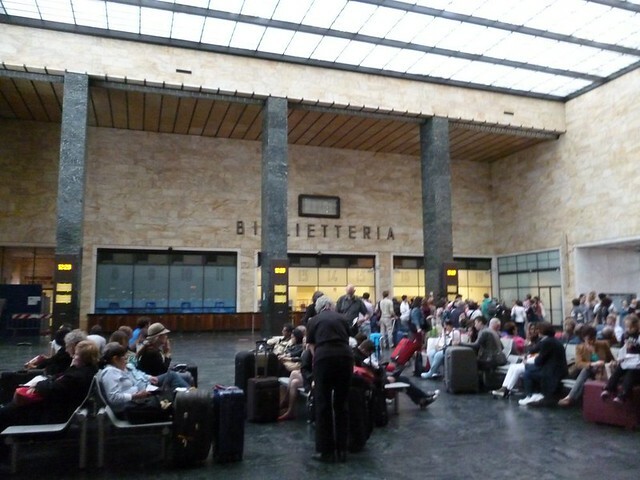 I arrived that the train station 20 minutes before my scheduled departure. To my horror, my platform number wasn’t available. I panicked a little and imagined that my train was cancelled and I would be stuck in Florence with no backup plan. Of course, my reasonable side told me to shut up and wait for the train. The platform did show up in the end, 10 minutes before the departure. My second-class premium seat had leathery seats and a free drink for the passenger. The overhead area for luggage was slightly bigger than the standard space so that was a nice touch. 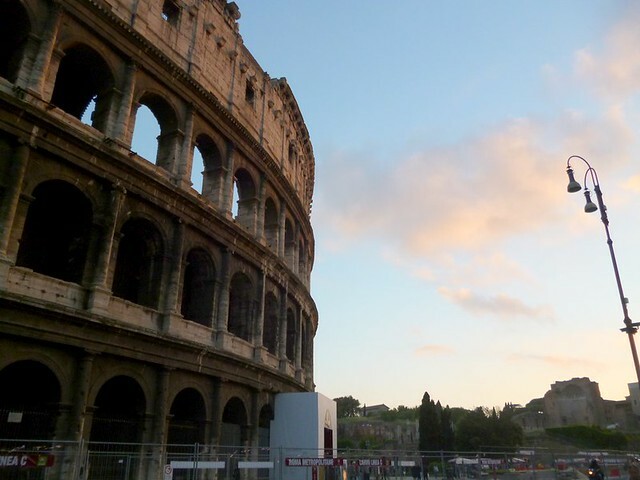 Once in Rome, I followed the directions written by my AirBnb host and took the underground. I then used Google Maps to find my way to the house. Unfortunately, Maps brought me to the wrong side of the road and I treked past about 50 houses before I reached my destination. My accommodation in Rome–slightly outside of Rome is probably a more accurate description–is with an AirBnB host family. I am staying in the attic. I don’t have any good photos of the room yet but I’ll put them up when I have them tomorrow. It’s a really cute room with two beds, two sofas, a small table, fridge (! ), kettle with tea bags and rather weak lighting (or “romantic lighting”). I remembered that I once wished to live in an attic and now I really am so that’s one thing off my to-do list. Since IKEA was nearby, I stopped there for a look before heading back to Rome for sightseeing. 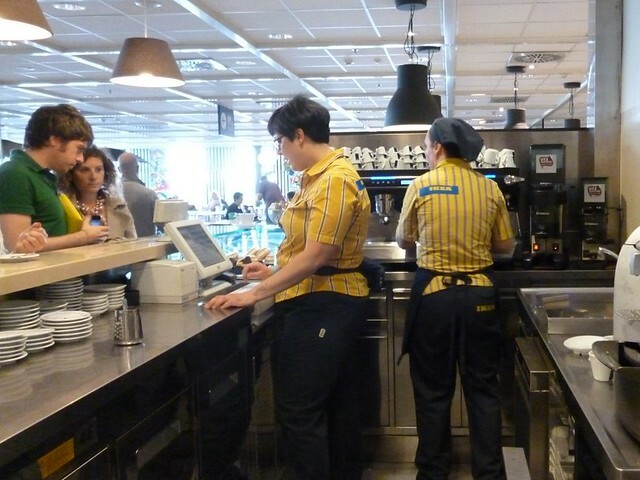 To my delight, the IKEA here has 2 cafes! It’s so Italian to have cafe even though there is the regular section for cafeteria-like food. I had a cappuccino and a biscuit for 1.70 euro. The coffee tasted fine (this is not the cafe for regular IKEA coffee) and the biscuit was the same as any Marks & Spenser biscuit. Next stop was Rome proper. I only managed to see the Colosseum because the name of the station is the same as the site. It wasn’t as gigantic as I was led to believe but I sat down a while to stare at it and found that it was quite large. Dinner was pizza from a pizzeria near where I’m staying. The pizza was charged based on weight. The whole thing was so yummy I should have bought more.